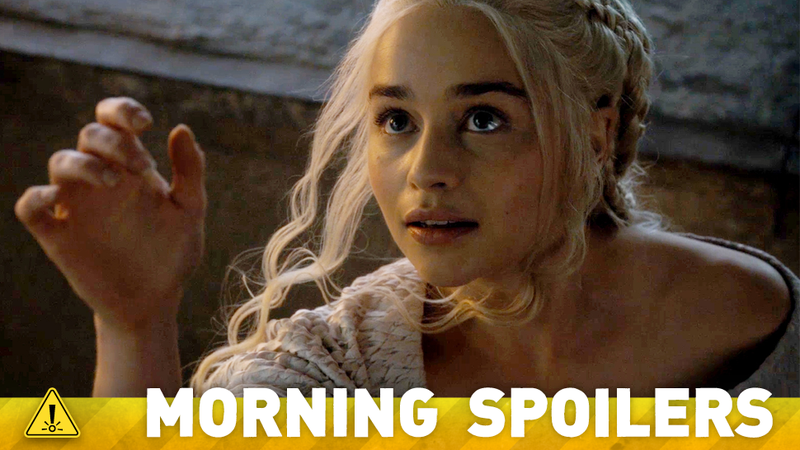 What Will Daenerys Learn in the Next Season of Game of Thrones? Get another teasing look at Neil Blomkamp’s Alien movie. Lego Batman casts its Boy Wonder. The Flash casts a wrestling star as a supervillain. Plus, how Grimm’s next season will change the series, an animated teaser for X-Files’ return, and footage from The Expanse, Fantastic Four and more. Behold, Spoilers! Blomkamp has put another piece of concept art from the film, featuring Ripley and Hicks. Do you have any idea where your character is going to go next? Have they given you any clues or hints? Ooooh. Oooooh there’s so much in store for her. I’m saying that obviously because I’ve read the script for next season. Muwah ha ha! I know stories. It’s really exciting. Next season, I’ve said this before, but there’s a lot of season where you need to (rightly so) kind of need to set the scene. And you have a couple of episodes where you’re like, “OK, feeding information, I get it. We’re finding out about this person. And we know about that person. And oh, there’s that person.” But this season coming up, that we’re about to film, there’s none of that. It’s just go, go, go, go. Shocking moment to shocking moment. Epic moment to epic moment. It’s mental; it’s epic. And definitely Dany’s a part of it. Do you think Dany’s learned from her failure as a ruler last season? I think that she’s definitely on the upwards trajectory of truly learning from the mistakes that she’s made as a ruler. It’s not so much a matter of learning from the mistakes that have gone before her, but it’s a matter of her trusting herself and being confident in the decisions that she’s about to make. And being confident enough to stand next to those decisions and take full responsibility for them. Here’s a short animated teaser for the series’ return. Here’s a new trailer for the series about peaceful alien invasion of Earth by the mysterious overlords. And here’s another for the adaptation of the James S. A. Corey novel. Finally, Ramse goes on a mission to find a new power source in a trailer for the second season.